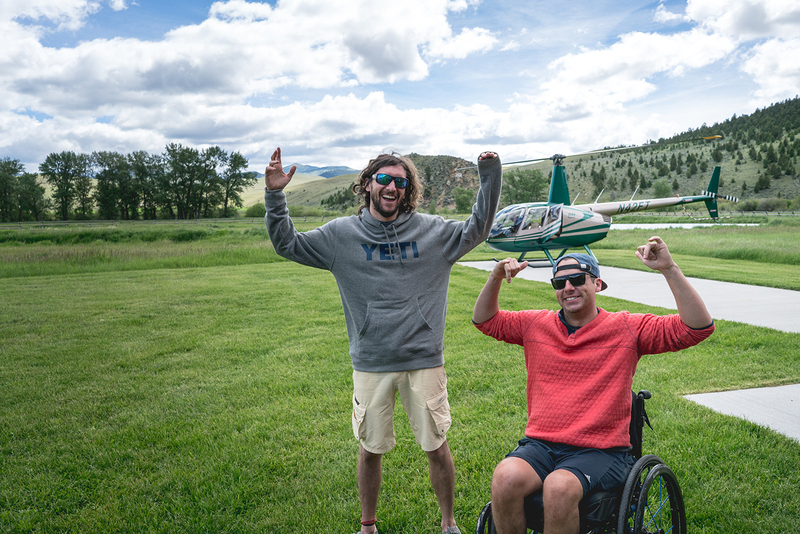 Craig Hospital Alum, High Fives Athletes, & the expert guides of Access Unlimited recently experienced the thrill of catching and releasing fish in the beautiful backdrop of Montana! 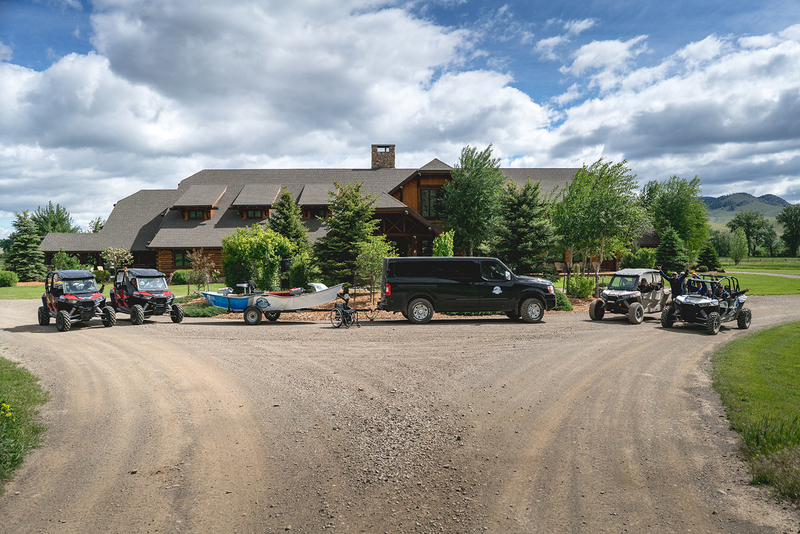 A group of sportsmen and women living with various levels of spinal cord and traumatic brain injury participated in a five-day adaptive fly fishing camp hosted by three organizations that serve athletes with disabilities: Access Unlimited, High Fives Foundation and the Craig Hospital Adventure Program. 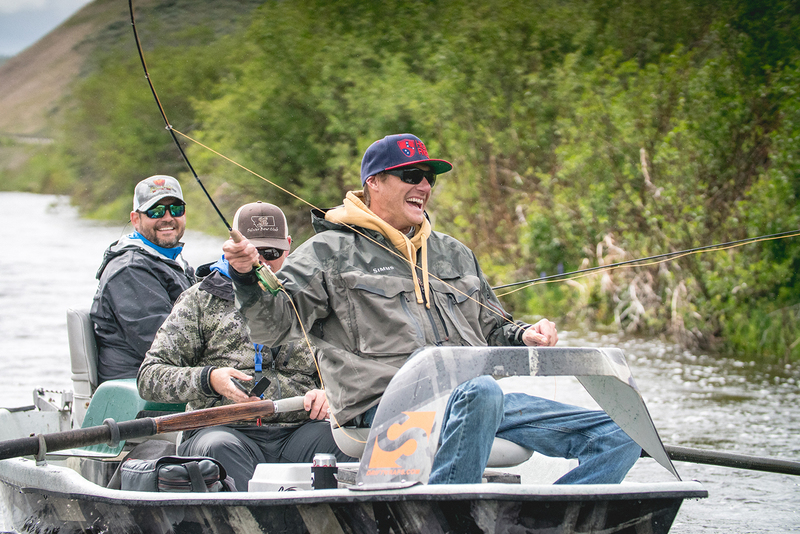 This collaboration provided access to local guides and adaptive fishing equipment, including boats and specialized fly fishing rods, as well as Action TrackChairs to help people get as close to the river as possible, and even stand to fish. Participants also had the opportunity to take a helicopter tour and learn shooting skills. “People who come on this trip never leave the same – when they see what is possible despite their disability, there’s a sense of freedom on the river that you can’t take back,” said Jess Alberi, co-founder of Access Unlimited. 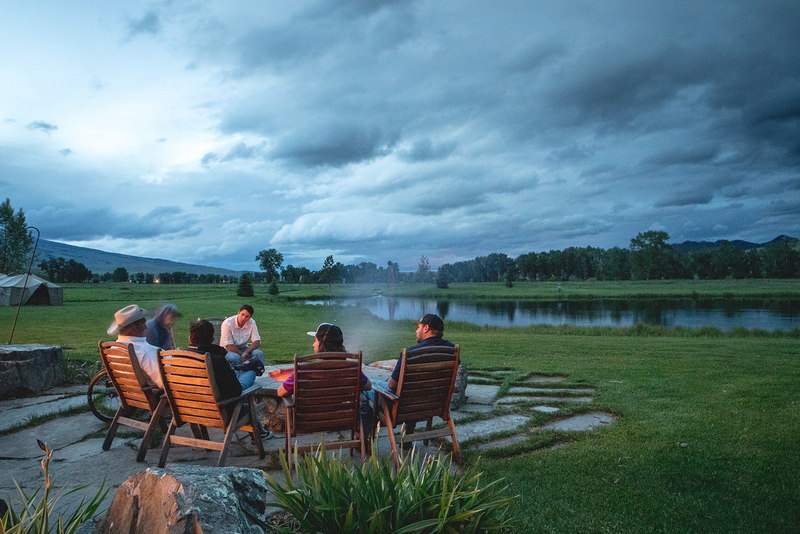 During the trip, Access Unlimited hosted a fundraising event, raising $27,000 to help provide equipment and experiences for people with physical disabilities and get them back to the outdoors. Generikal Design was there to capture the whole adventure on GoPro. High Fives Foundation, Access Unlimited, GoPro, Big Agnes, Yeti, Grundens, Smith, Kind Design, BigTruck Brand, Darn Tough Socks, Vapur, Zealios, Tahoe Trail Bar, Lone Mountain Printing, Hiball Energy, Rumpl, & Phunkshun Wear.